Of all the stops on the Scottish cyclocross circuit, Glengorm Castle on the west coast of Mull has to be the most spectacular. When the weather is as good as it was for the last two rounds of the SCX series, there surely can't be a prettier place to race 'cross – a castle, sea lochs, The Atlantic, distant snow capped peaks and blue, blue skies. Around 80 hardy racers - some making long journeys with multiple ferry trips to be there - lined up for two hectic days of racing, some jigging and quite a lot of Christmas spirit. The Under 12s race course was immediately in front of the Castle with a fantastic backdrop of views out to the Isles. The circuit involved a variety of surfaces and technical challenges from tight gravel corners to switchback chicanes through the rough grass; the course was made more interesting on Sunday by the layer of frost on the tarmac and ice in the puddles. Thanks for organisation and admin go to Iain and Hazel Grant and Ewan Baxter. The Under 8s had a separate race which included some warm-up running and pushing for some of the dads preparing for the senior race. The U8 podium was dominated by the Whitehead family with Lucas finishing first boy, while local girl Julie Anne McNeil won the girls race. The U10s and U12s raced together on both days. Michael Hastings made the long journey from Islay to win the U10 Boys on both days with Anna Shackley and local girl Isla Robertson winning the girls races. The U12 race saw a familiar contest between the boys represented by the 2 Callums (Grant and Shackley) and the girls represented by Emma Borthwick. Callum Grant led both races throughout and Emma Borthwick fought off a mid-race attack from Callum Shackley on Saturday to finish second on both days. For the older riders, Davie Graham had laid out two cracking courses in the grounds of Glengorm Castle. Swoopy grass, estate tracks, tarmac and a little bit of singletrack to keep riders on their toes. The sloppy section of course at the entrance/exit to the lower fields was a pool of cold, liquid mud as usual, but fortunately the cruelest of hurdles were only in place for the Saturday races. The Youths were out next and victory was taken by local rider Sam Downing (Isle of Mull CC), with Lucy Grant (Peebles CC) and Louise Borthwick (Edinburgh RC) completing the podium. The Senior race featured two special guests from Belgium, current Belgian time trial champion, Liesbet de Vocht (DSB Bank - Nederland bloeit) and Tom Linton (DTB) who were visiting on holiday. However, it was the golden couple of Scottish Cyclocross ,Ruth and James Fraser-Moodie (Pedal Power RT) who took the wins on Saturday. In the Junior ranks, Jack Taylor (Rik’s Bike Shed) rode well up the senior field to take the win. Iain Nimmo (Squadra Porcini) finished 7th overall and leading Veteran. Once the racing was done, a number of riders headed to the Aros Halls in Tobermory for a Christmas dinner and ceilidh. Despite weary limbs, the dance floor was soon packed with cyclocrossers throwing mean shapes. Your correspondent can confirm that an Orcadian Strip the Willow is much harder work than a ‘cross race. Sunday’s Youth race saw a repeat of Saturday’s podium of Sam Downing (Isle of Mull CC), with Lucy Grant (Peebles CC) and Louise Borthwick (Edinburgh RC). The Senior race also brought a world first – the Santacross World Championships. Although not sanctioned (yet) by the UCI, this is the race that every Santacrosser wants to win. It was a slightly unusual looking field that took to the start line, with a range of festive outfits on display from reindeer antlers to full Santa suits alongside the normal assortment of spandex. Ruth Fraser-Moodie (Pedal Power RT) finished the season impressively maintaining her 100% record in every race she started and comfortably regained the overall series. Craig Hardie (Hardies-Bikes.com) secured the Male Senior series title with a win in the Senior race. Iain Nimmo (Squadra Porcini) not only took the Veteran series win, but became World Santacross Champion. Alexis Barnes (Walkers CC) took the Mrs Santacross World Champion. Full results and final league tables are are available on the website now. It's been a great season, with numbers up significantly from last year. 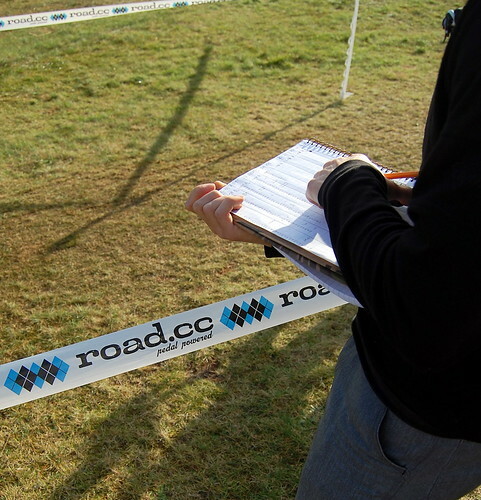 The Scottish Cyclocross Association would like to thank everyone that raced, organised, sponsored, offiatiated, rang cowbells and helped us run the most successful Scottish ‘cross series of recent years. 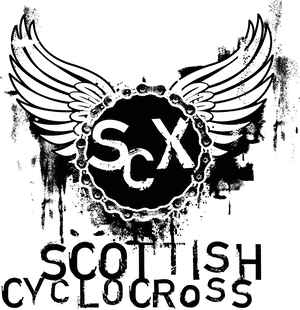 The Association is already working on plans for next year, so keep checking the website [http://www.scottishcyclrocross.org.uk] for news as it happens. Still to come: An article explaining where your hardearned entry fees go.